Boxcryptor is now fully compatible with the new iOS 11 operating system, including the new Files app by Apple. Users from now on can access their Boxcryptor encrypted files via the Files app, without any loss of functionality. 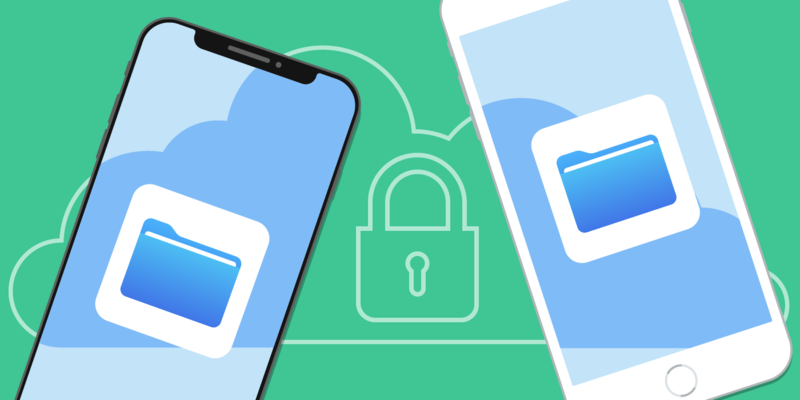 Boxcryptor is available for a long list of cloud providers, therefore adding Apple’s file browser to clouds, even if the cloud providers’ apps are not yet compatible with the Files app. Just a Usual iOS Update or More? Apple introduced iOS 11 at WWDC in June this year. From that point, a beta of iOS 11 was available, which allowed us to start working on the integration into iOS 11 and the Files app a little earlier. 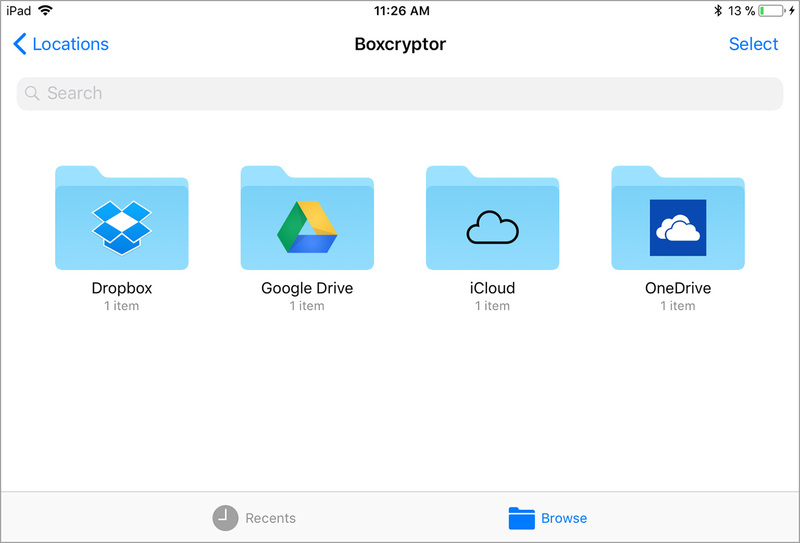 Now, with iOS 11 officially released, Boxcryptor offers full support of iOS 11 and the Files app. For you as an iOS user this means that you now have a file browser available, similar to the Finder on macOS. From now on, you will find Boxcryptor integrated into the Files app, with all its functionalities, even when working with encrypted files. and you have advanced sorting options on-hand (Name, Date, Size, and Tags). You can recognize your encrypted files by green tags. All new folders as well as all files added to an already encrypted folder will be encrypted automatically. 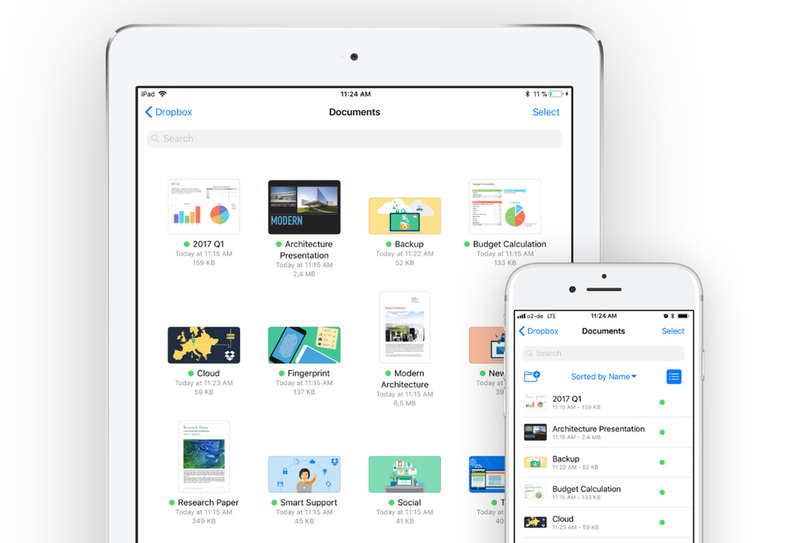 The Files app brings great clarity and usability to iOS, by centralizing how users work with files. Until now, every app interacting with files required its own user interface for browsing files. Now Apple takes over and we, as well as other app developers, can concentrate on bringing more features and improving the core product for our users. Our new Boxcryptor update with iOS 11 and Files app support is available on the App Store.